Beautiful wrap dress from KAFFE. This beauty has long sleeves with sporty ribbing at the sleeve-ends. 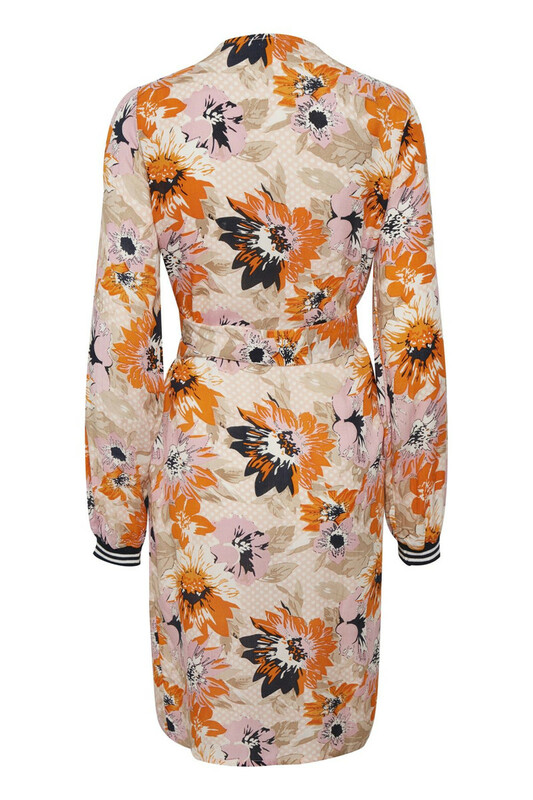 The wrap dress has a knee length. 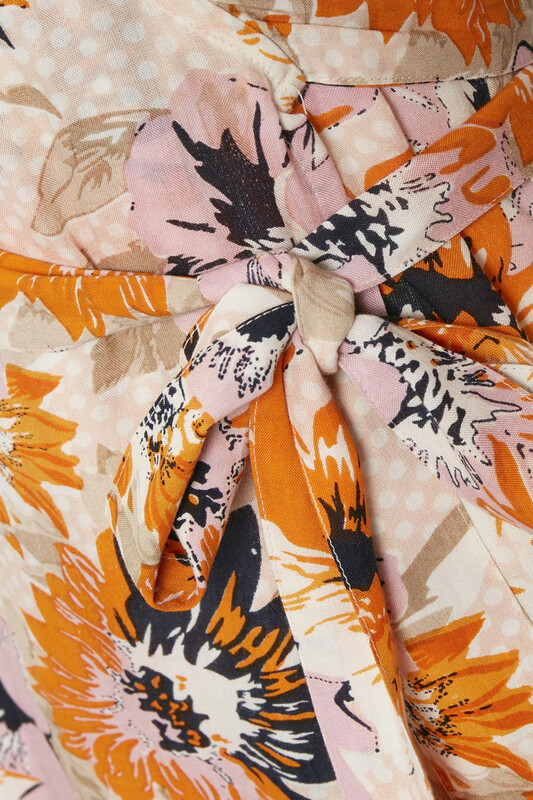 The beautiful print and trendy colour is an absolute hit this season - for both spring and summer. 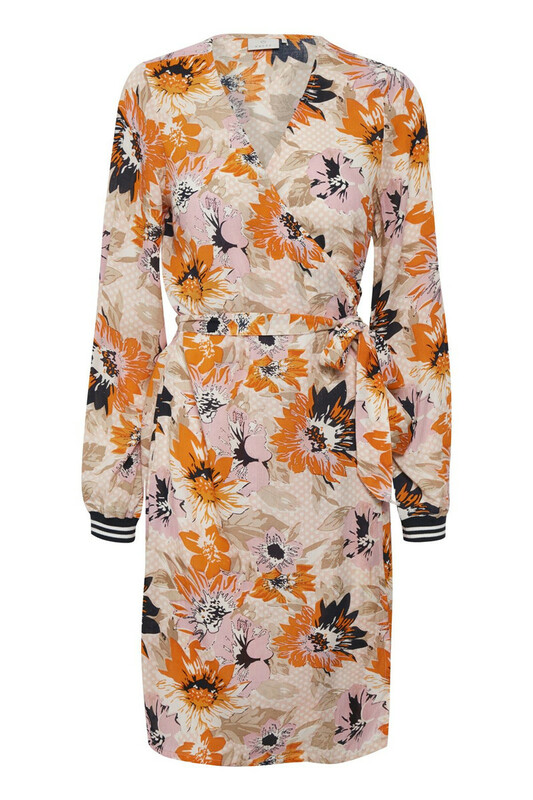 If the weather is a bit chillier, this wrap dress is really beautiful with a pair of ripped jeans and a leather jacket.